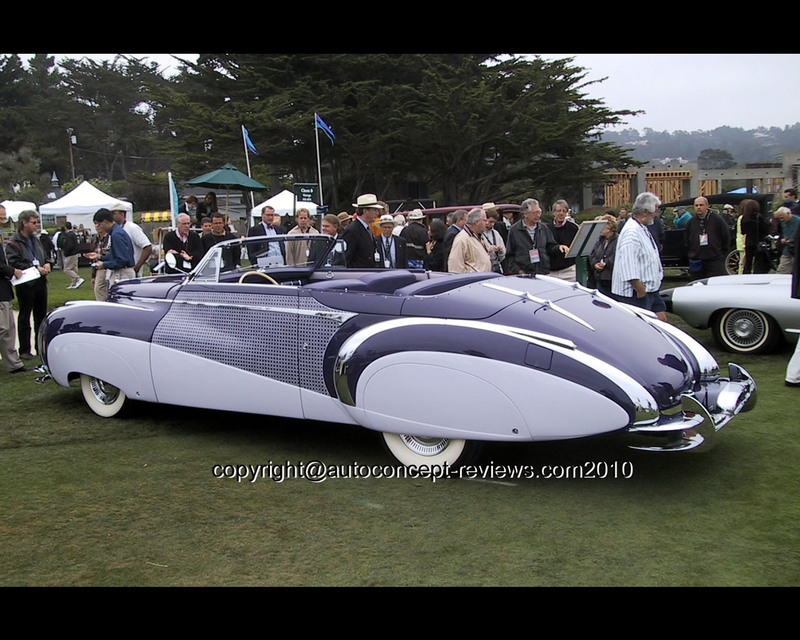 The Cadillac Serie 62 Cabriolet Saoutchik shown here was presented at Pebble Beach 2002 Concours d'Elegance by Don Williams from Danville California. 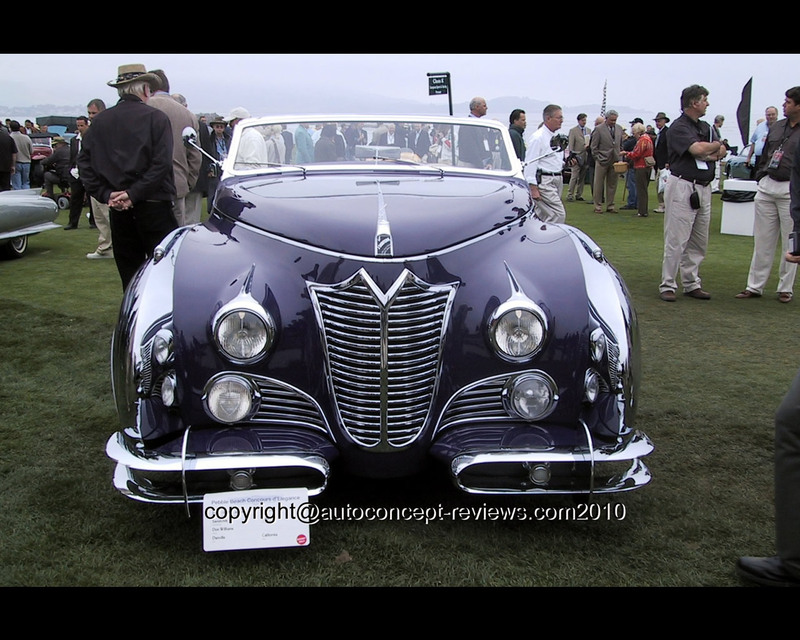 Saoutchik is a French coachbuilder famous for his original and flamboyant designs. This car was a tentative to extend his business in North America. 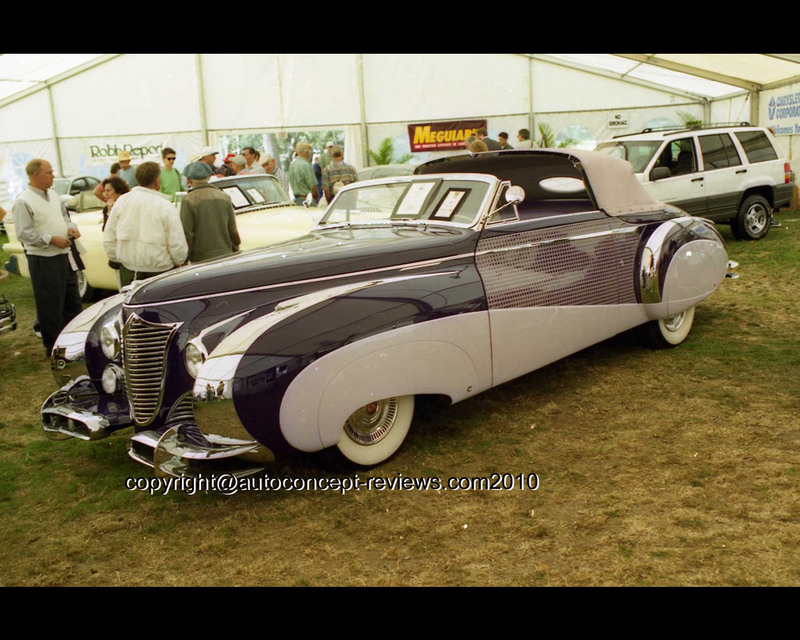 A picture of the production Cadillac Sixties 2 door 1948 allows to visualize the original model of which the chassis of the Cadillac Cabriolet Saoutchik was based on. Styling and paintwork as well as chrome bumpers and fender's elements make it an original proposal.